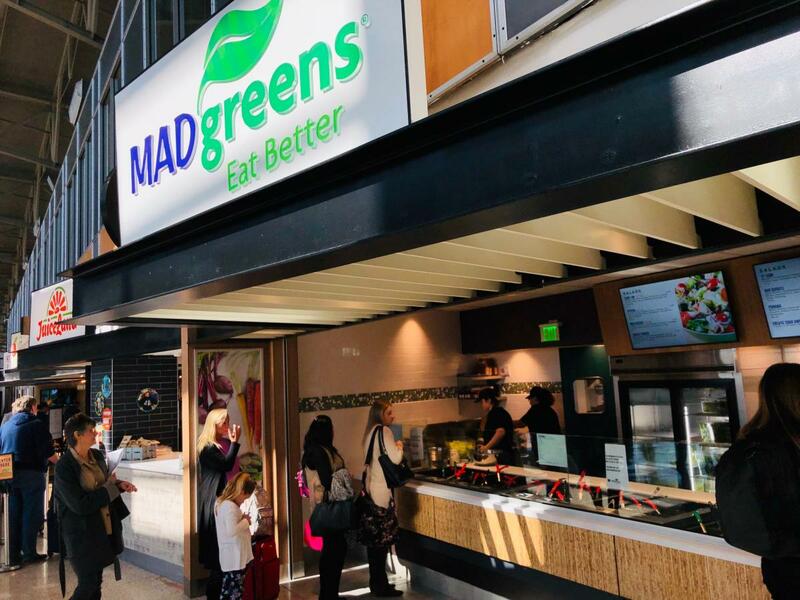 MAD Greens now open in the Barbara Jordan Terminal across from Gate 16 in East Food Park. MAD Greens offering scratch made in-house salads is now open in the East Food Park, at the Austin airport across from Gate 16. The South Terminal opens Jet Set concessions with a bar serving local tap beers. Taxis and Ride App pick-ups move to designated area on the ground level of the Rental Car Facility. Health food enthusiasts may get excited about the opening of MAD Greens, across from Gate 16 at the Austin airport. The 789 square foot MAD Greens completes the renovations to all of the food options in the East Food Park. MAD Greens service is about preparing everything in-house and making things from scratch. Established in 2004, the fresh vegetable healthy eating brand serves hand-tossed salads, grilled paninis, wraps, and freshly made juices. The airport location is designed in a palette of eggplant, celery green, and wood tones. Concessionaire Paradies Lagardère operates MAD Greens at the Austin airport. 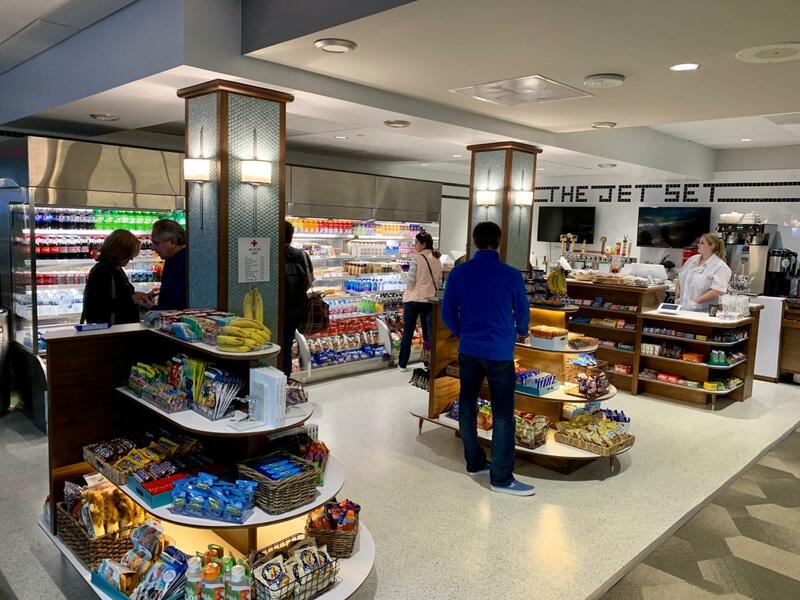 The South Terminal has opened its new indoor concession called Jet Set at the South Terminal offering grab and go food items, a full bar with signature cocktails and four local beers on tap. The South Terminal partnered with two local Austin restauranteurs, Sawyer & Co. and Opal Devine ’s to operate in the 300 square foot location. The Jet Set at the South Terminal is open daily from 4 a.m. to 10 p.m. 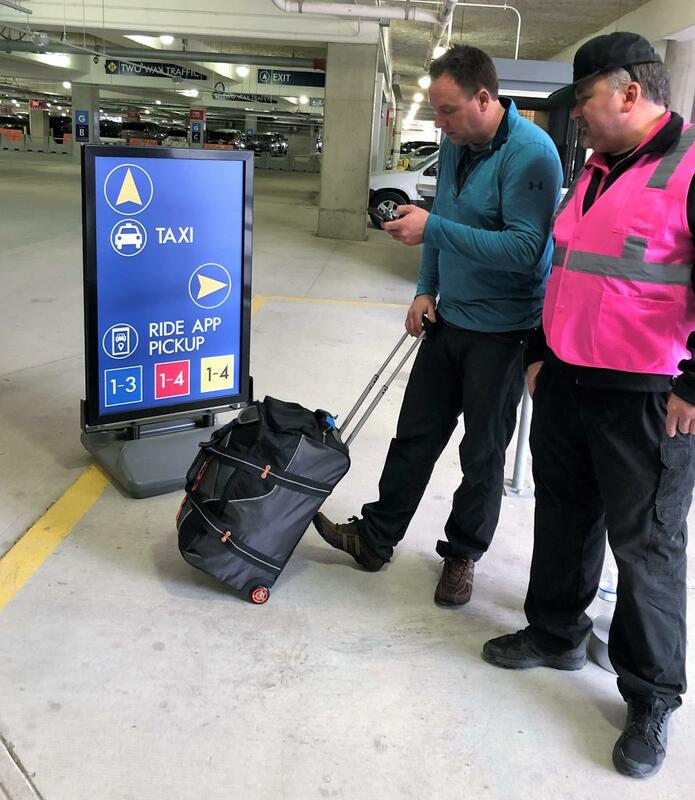 The Austin airport has renovated the ground-floor level of the Rental Car Facility to create a designated pick-up area for Taxis and Ride App Cars. The move of car transportation services for taxis and ride app reduces 3,700 cars per day from roadway terminal entry. This also advances the re-design of a terminal and roadway buildout envisioned in the airport’s master plan. Taxis and ride apps pick-ups are on the ground floor of the same building as the rental cars. Number and color system at ride app pick-up location was a collaborative innovation between Austin airport and the ride app companies. Upon arriving at the ground level of the Rental Car Facility, dedicated taxi lanes are to the immediate left. Three ride app pick-up lanes, color-coded in blue, red and yellow with corresponding numbers 1-4 match the customer’s selected pick up selection. Mobility vehicles are available to assist with the 600-foot walk to the Rental Car Facility and walkways have been established to cross the garage to the location.